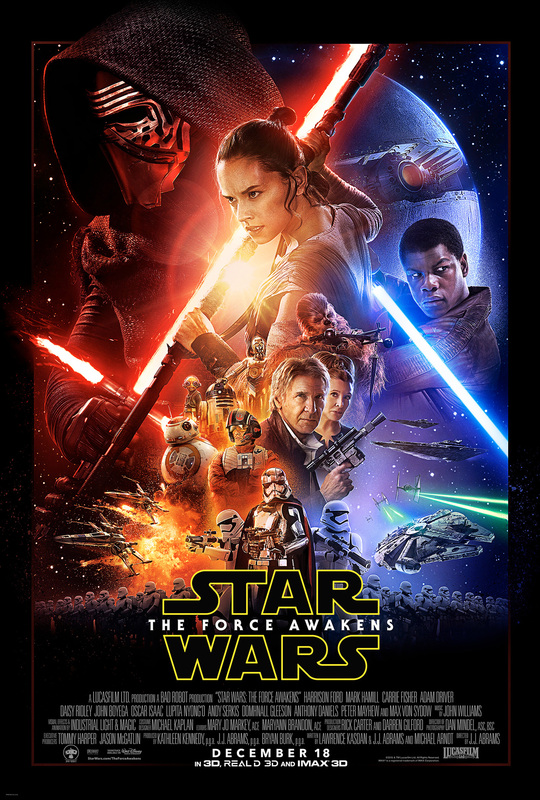 Disney has posted The Force Awakens expanded soundtrack online…for free! Listen here and enjoy! In the latest episode of Rebel Force Radio, guests David Collins and James Arnold Taylor talk about The Clone Wars voice talent who lent their voices to Star Wars: The Force Awakens. It’s an awesome episode providing some great behind-the-scenes info on the ADR work for the film, who did what lines, and how it came about. Be sure to give it a listen after you’ve seen the film and be prepared to go see it again so you can pick out all your favorite voice actors like James Arnold Taylor, David Collins, Sam Witwer, Cat Taber, Tom Kane, Dee Bradley Baker and even Dave Filoni. You’ve seen the movie, now read it! 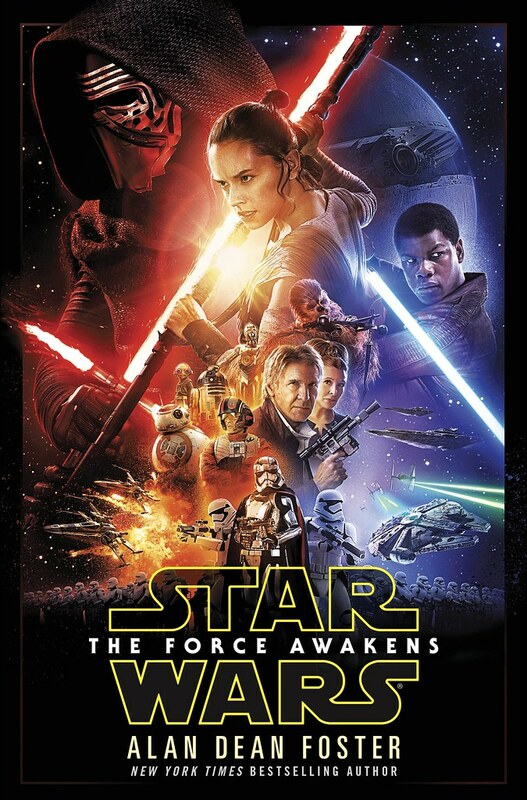 Star Wars: The Force Awakens novelization by Alan Dean Foster is out in digital formats. In order to give everyone ample time to see and enjoy the movie, we’re going to opt for a very simple and spoiler free review of Star Wars: The Force Awakens. Enjoy! Quite simply, J.J. Abrams did it. He captured the magical essence of Star Wars. Between him, Lawrence Kasdan and all of the cast and crew, they nailed everything that’s great about the saga. There’s humor, action, drama and most important of all, mystery. There are so many questions but it’s the kind of thing that raises interest and curiosity rather than frustration. The Force Awakens reveals a new era of Star Wars, a new chapter in its history, and thankfully, a wonderful window at a new saga of films. This is the first of a new trilogy, a great first step as fans hop on for the ride. All the hype, all the publicity and mystery, it’s all worth it. Star Wars: The Force Awakens is great. Go see it, and be prepared to watch it more than once. It’s that good. Star Wars: The Force Awakens is out. Go see it and rejoice! Latest Databurst From the 501st covering 501st Legion event news from December 16 to 22nd. Be on the look out for The Force Awakens events all weekend long as the 501st will be out in force. As always, be sure to mark your calendars and support your local garrisons. 70th Explorers Garrison will be in Derby, KS for the Star Wars marathon at Aviator Church. Alabama Garrison will be in Birmingham, AL for the UAB basketball game at Bartow Arena. Alpine Garrison will be in South Jordan, UT for The Force Awakens at The District from 7:00 to 11:00 PM. Austrian Garrison will be in Donauplexx for Star Wars: The Force Awakens preview from 4:00 to 11:00 PM, and in Braunau for the premiere at Diesel Cinema from 11:00 PM to 12:30 AM. Dutch Garrison will be in Amsterdam for Star Wars: The Force Awakens – The Movies – Amsterdam, in Vlissingen for Star Wars: The Force Awakens Cinecity, in Eindhoven for Star Wars: The Force Awakens JT Eindhoven, and in Sittard for Star Wars: The Force Awakens Foroxity. Garrison Carida will be in Newark, Delaware for the Star Wars Premiere Party at Blue Hen Comics from 4:00 to 8:00 PM. Garrison Excelsior will be at the Greece Public Library Star Wars Party. German Garrison will be in Berlin for The Force Awakens at Zoo Palast, and in Stuttgart for The Force Awakens at Ufa-Palast. Georgia Garrison will be in Atlanta, GA for the Newell Rubbermaid Young Professional Star Wars Celebration at 3:00 PM, and in Atlanta, GA for Star Wars Night with the Hawks. Great Lakes Garrison will be in Livonia, MI for The Force Awakens opening night fundraiser at Phoenix Theater. Midwest Garrison will be in Chicago, IL for a Star Wars themed dinner at Table Donkey and Stick restaurant. Old Line Garrison will be in Joppa, MD for Star Wars Episode VII The Force Awakens party from 6:00 to 8:00 PM. Redback Garrison will be at The Force Awakens midnight screening at Australia Fair, at The Force Awakens premiere at Anime Exchange, and at Event Cinemas Loganholme Hyperplex for the TFA premiere. Southern California Garrison will be in Anaheim, CA for The Force Awakens Pre-Party at Phat Collectibles from 5:00 to 8:00 PM. Star Garrison will be at the Dallas Morning News Star Wars themed holiday party, and at the Star Wars event at University Park Library. UK Garrison will be in Newquay for the midnight screening for The Force Awakens at Lighthouse Cinema. Jonathan Lam has some neat Star Wars prints up on Art Thief. CBR has a preview for Darth Vader Annual #1. Edelweiss has some updates on far out Marvel Star Wars TPB’s. Via: Disney + Star Wars = ? Here is this week’s Around the Web news roundup of Star Wars and beyond. Today is also the sixth annual Wear Star Wars Share Star Wars Day. Disney Lucasfilm Press released four new eBooks this week: The Crimson Corsair and the Lost Treasure of Count Dooku, High Noon on Jakku, The Face of Evil and All Creatures Great and Small as part of their Tales From a Galaxy Far, Far Away. If you’re patient, you can wait for the physical copy which will be out in April. StarWars.com posted a book updated though the only new thing of note is the cover for the new cross-sections book. Everything else has been out for a while. For holiday shoppers, John Jackson Miller is offering signed copies of his books and comics. Christie Golden is offering a 50% off sale on everything in her store up until December 15. Use the code GIVETHANKS50. Author Martha Wells also did a reddit AMA which you can check out here. Buzz Comics has a preview of Star Wars Annual #1. Comic Vine has a preview of Obi-Wan and Anakin #1. Delilah S. Dawson talks about writing “The Perfect Weapon” a little over on Star Wars Books tumblr page. Jedi News has spotted that IDW will be doing a micro-comic collector pack for The Empire Strikes Back next year. StarWars.com has a preview of Obi-Wan and Anakin #1.